As a failure analysis engineer, results are expected. There is no room for error in data given by the instruments. 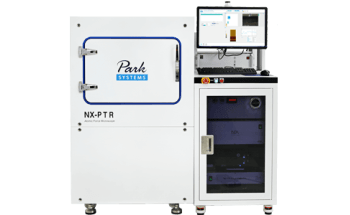 Park NX20 with its reputation as the world’s most accurate large sample AFM is rated very highly in the hard disk and semiconductor industry for its data accuracy. 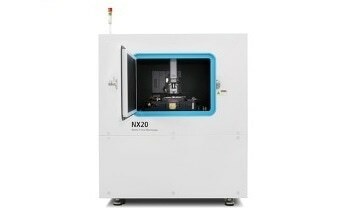 The NX20’s novel design allows users to detect the surface and sidewall of the sample, and measure their angle. This provides the unit the required versatility to do more innovative research and thus gain deeper insights. 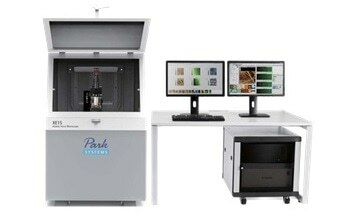 One of the main applications is surface roughness, where Park NX20 can excel and provide the accurate failure analysis and quality assurance. When users compare the change in tip shape through repetitive scans, the advantage of Park’s True Non-Contact Mode becomes very obvious. 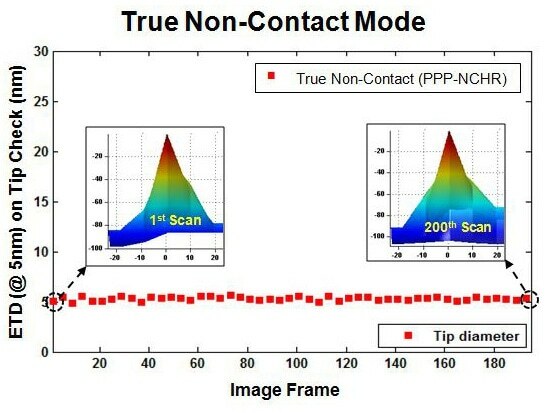 True Non-Contact Mode is capable of maintaining the sharp tip end even after imaging 200 images of CrN, and hence termed as tip check sample. CrN has highly abrasive surface that may rapidly wear out the sharp tip. 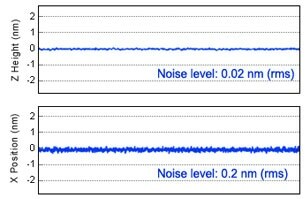 Park’s AFMs are fitted with the most effective low noise Z detectors in the field, with a noise of 0.02 nm over large bandwidth. 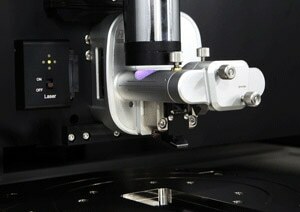 This creates highly accurate sample topography, without edge overshoot and without any need for calibration. 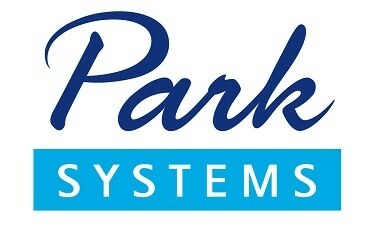 This is just one of the many ways Park AFM saves time and provides better data. 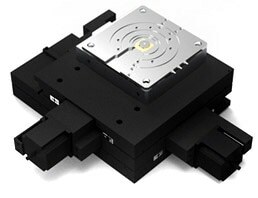 Symmetrical 2-dimensional flexure and high-force piezoelectric stacks in the XY scanner offer high orthogonal movement with minimal out-of-plane motion and also high responsiveness required for precise sample scanning in the nanometer scale. 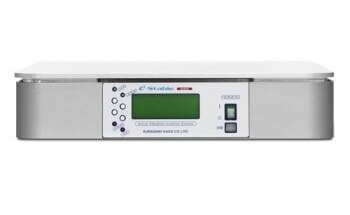 The industry leading low noise Z detector substitutes the applied Z voltage as the Topography signal. 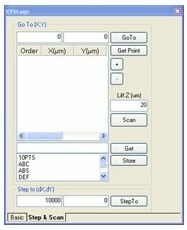 The low noise XY closed loop scan also minimizes the backward and forward scan gap to be less than 0.15% of the scan range. 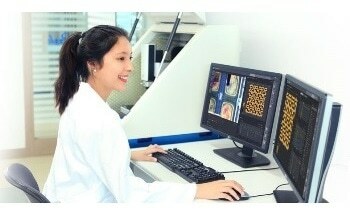 This is an automated feature that improves productivity by minimizing user assistance during repetitive imaging procedures. The AFM head can be effortlessly inserted or removed by simply sliding it along a dovetail rail. This automatically locks the head into its pre-aligned position and links it to the control electronics with a positioning repeatability of a few microns. Super Luminescence Diode (SLD)’s low coherency allows for precise measurements for pico-Newton Force-distance spectroscopy and accurate imaging of highly reflective surfaces. 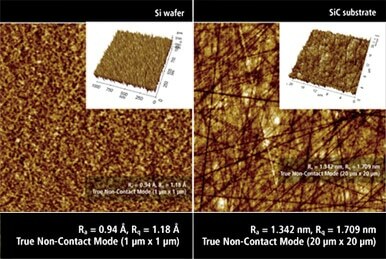 The SLD wavelength prevents interference issues for users interested in integrating the AFM with experiments in the visible spectrum. 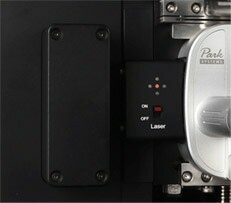 Plugging an option module to the expansion slot enables advanced SPM modes. 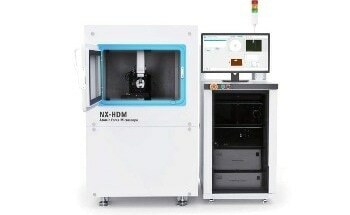 The modular design of the NX-series AFM enables option compatibility throughout its product line. 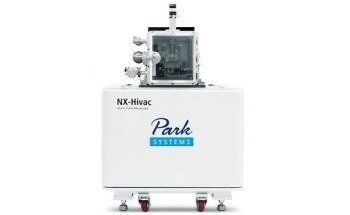 The same NX electronics controller controls and processes all NX-series AFMs. 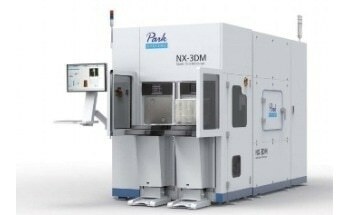 This controller is an all digital, 24-bit high speed electronics unit, which ensures both the accuracy and speed of Park’s True Non-Contact ModeTM for speed and accuracy. 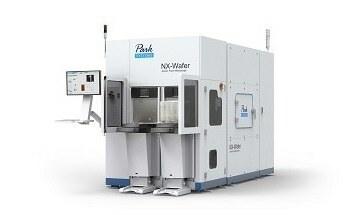 The controller, with its low noise design and high speed processing unit, is suitable for nanoscale imaging and precise current and voltage measurements. 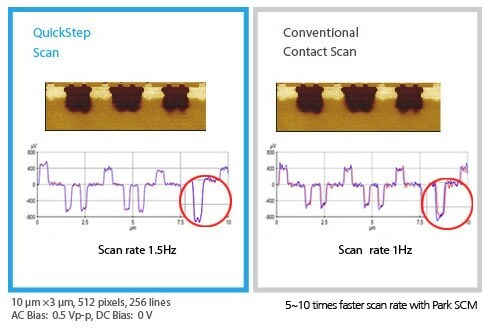 The embedded digital signal processing capability further improves the economics and functionality of Park’s AFM solutions for advanced researchers. 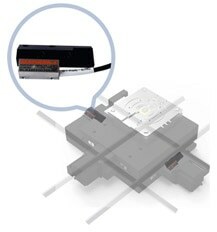 The standard Z scanner is powered by a high-force piezoelectric stack and guided by a flexure structure. It has a high resonant frequency of over 9 kHz (typically 10.5 kHz), and Z-servo speed of over 48 mm/second tip velocity which allows accurate feedback. 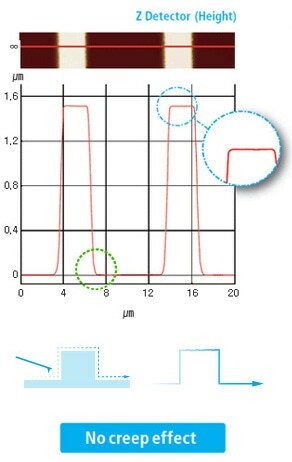 Using the optional long scan range Z scanner, the maximum Z scan range can be extended from 15 µm to 40 µm. The encoders, which are employed on all motorized stages, allow higher positioning repeatability for accurate positioning of samples. 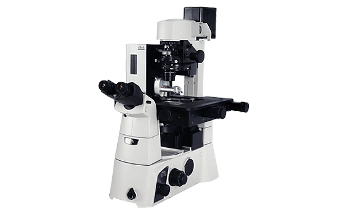 The encoded XY stage travels in 1 µm resolution with 2 µm repeatability, and the encoded Z stage travels in 0.1 µm resolution with 1 µm repeatability. 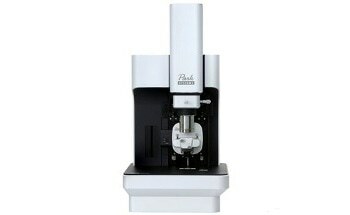 The special head design enables an open side access to tip and sample. 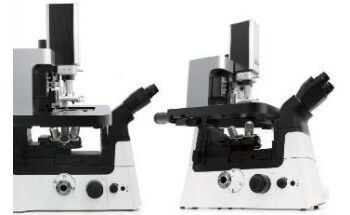 150 mm diameter x 20 mm or 200 mm diameter x 20 mm is the maximum sample size that can be placed on the stage, based on the travel range option selected for the XY sample stage. Custom-designed objective lens with ultra long working distance (51 mm, 0.21 NA, 1.0 µm resolution) allows optical view with unparalleled clarity. 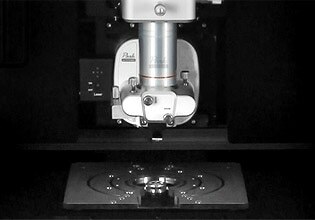 The intuitive direct on-axis sample view from the top enables users to easily navigate the sample surface to detect the target area. For a higher vision resolution, the EL20x objective lens of Long Travel Head is used, which has 0.42 NA, 20 mm working distance and 0.7 µm resolution. 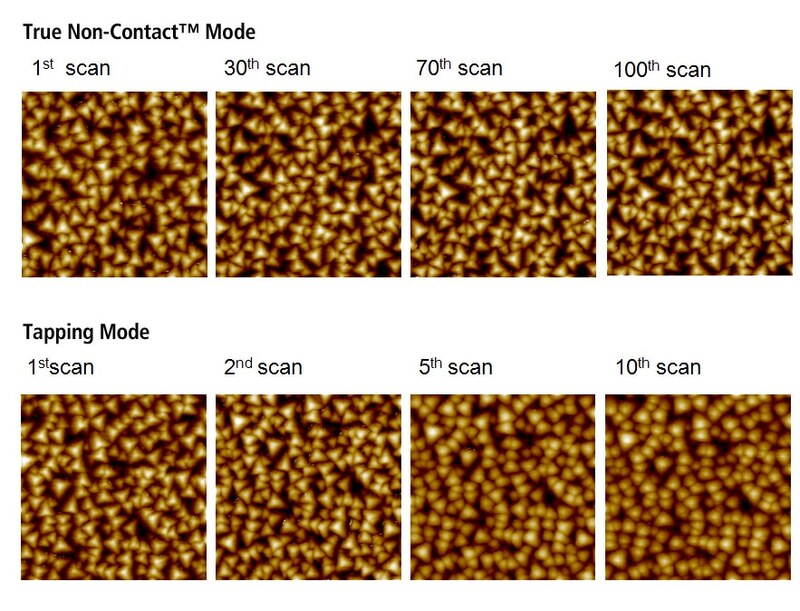 The CCD’s enlarged sensor size offers a wide field of view of the sample without affecting the optics resolution. 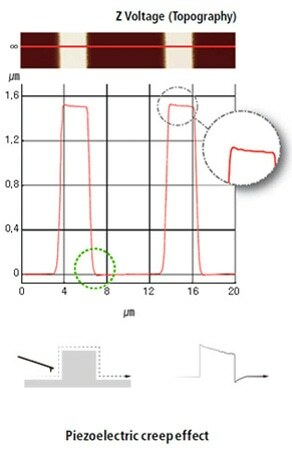 The LED light source, which is controlled by software, provides sufficient illumination onto the surface of the sample for clear sample observation. The focus stage and Z stage engage the cantilever with the sample surface and at the same time continues to maintain a clear field of vision for the user. 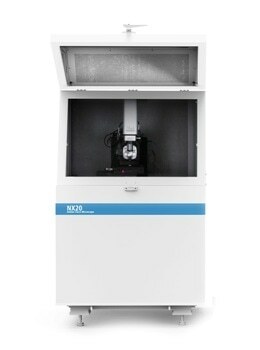 As the focus stage is software controlled and motorized, it has the precision required for transparent samples and liquid cell applications.